For that romantic getaway, a family get-together or simply a convenient base from which to explore all the delights of the north - six colonial cottages dating from the 1850's, each for your exclusive use. 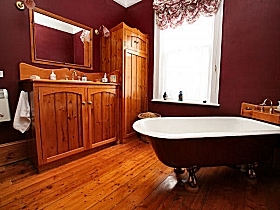 One to four bedrooms cottages accommodating from two to seven guests, fully self contained. 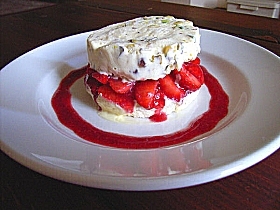 Full breakfast provisions replenished daily. 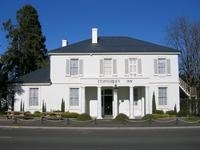 The quaint little village of Westbury, centrally located in the Northern Tasmania, is the perfect base from which to explore Launceston, Devonport, the Tamar wineries, Cradle Mountain, the Mole Creek Caves, the Northwest, and, of course the local attractions. 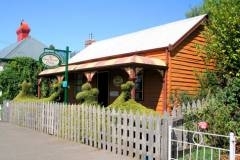 Accommodation at Westbury Gingerbread Cottages is in 5 delightfully individual colonial cottages dating from the 1850's, with from one to three bedrooms accommodating from two to five guests, all decorated with period furniture and memorabilia. 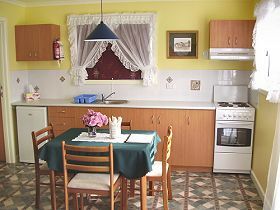 The cottages all have fully equipped kitchens and everything is supplied for a big hot breakfast. 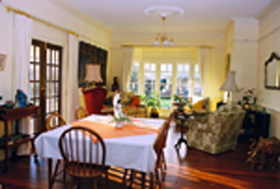 At the end of the day enjoy a quiet evening in front of the cosy gas log fires, or dine out at a local restaurant. 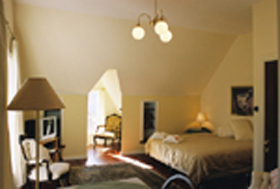 The Gingerbread Cottage accommodates two guests in a queen bedroom, with lounge. 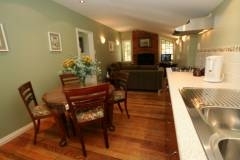 kitchen/dining room, bathroom, laundry and verandashs overlooking the country garden. 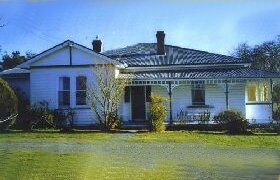 The Servant's Quarters accommodates two guests in a king bedroom, with lounge/dining room, kitchen/laundry and bathroom, with a communal BBQ courtyard outside. 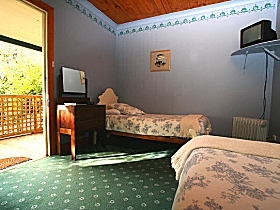 The two bedroom Corner Cottage accommodates up to four guests, with a queen bedroom, twin bedroom, large loungeroom, kitchen/dining room with laundry, spa bath and communal BBQ courtyard. 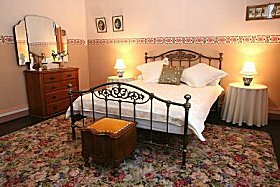 The three bedroom Old Bakehouse accommodates up to five guests, with a large queen bedroom downstairs, a twin bedroom and a single bedroom upstairs, and a kitchen/dining room, large loungeroom, claw foot bathroom and laundry downstairs. Please note the stairs to the upper bedrooms are quite steep and narrow and may not be suitable for all guests. 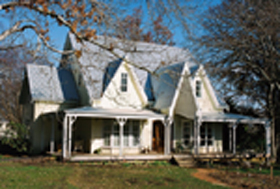 The two bedroom Apple Tree Cottage accommodates up to four guests, with two queen bedrooms, an open plan lounge/kitchen/dining room, bathroom and laundry, with a verandah overlooking the apple trees. 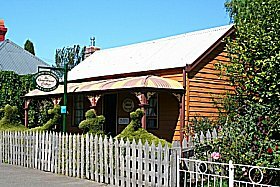 The Westbury Gingerbread Cottages provide self-contained accommodation in Westbury, centrally located in northern Tasmania. 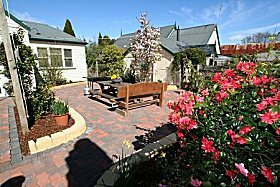 Westbury Brook Cottage provides self-contained accommodation for two in Westbury, Northern Tasmania. 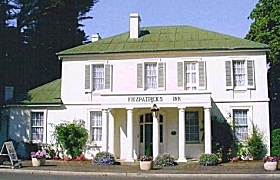 In 1833, when Fitzpatricks Inn was built, innkeeping meant cheery hospitality, warm welcomes and home comforts. 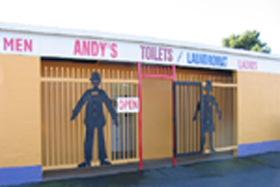 And so it does today. 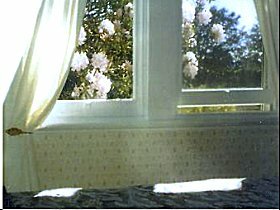 Youll be warm and comfortable in your room and each morning youll have toast and home-made jam for energy for a busy day. 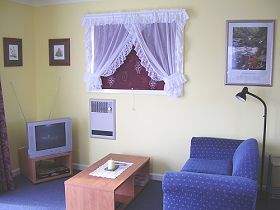 Elm Wood Classic Bed and Breakfast is in the historic village of Westbury, northern Tasmania. 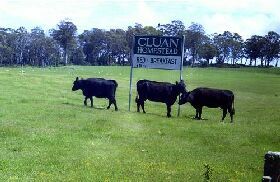 Cluan Homestead - The Managers Residence provides farm house accommodation just south of Westbury. 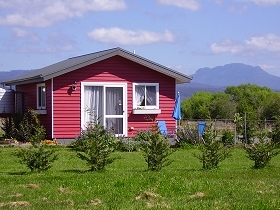 Nestled beneath the Great Western Tiers mountain range, watch ducks glide over the nature lake. 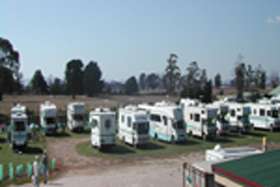 Andy's Caravan Park is a motor home park at Westbury in northern Tasmania. 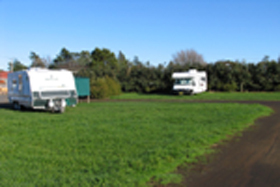 The park is fringed by Australian native trees and shrubs.